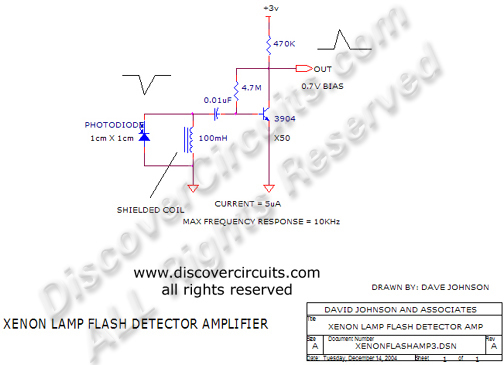 Hobby Circuit - Xenon Lamp Flash Detector __ Circuit s designed by David A. Johnson, P.E. This circuit has a very low standby current requirement yet has very high sensitivity toward the light flashes from a xenon lamp. When connected to a flip/flop it can serve as an on on/off controller.